Posted on September 10, 2010, 2:14 pm, by Clark Z. Terry, under Bandol, Domaine de Terrebrune, Rosé. Reynald Delille of Domaine de Terrebrune seems to have made it a rule when pouring his rosé for visitors to slyly say (in English), “the best rosé in the world.” It comes out sheepish and humble, but he believes it, and he’s got a cellar full of back vintages of the rosé to prove his point. Kermit drove us to the little town of Ollioules, about twenty minutes east of Bandol, where Terrebrune is located. 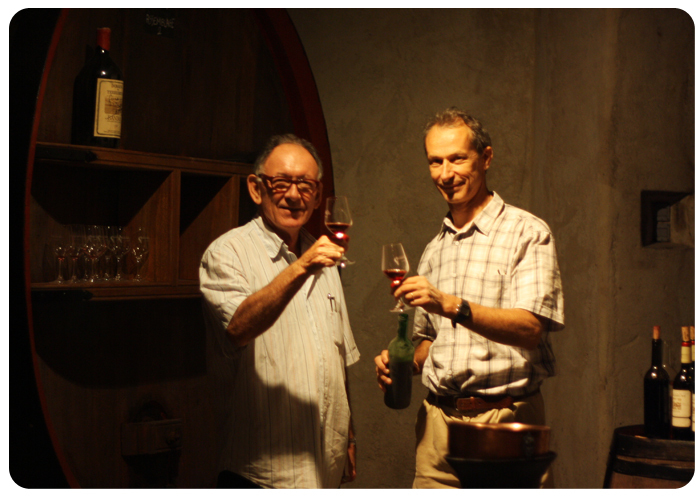 While he flirted with the tasting room staff, Reynald gave me a tour of the property and vineyards. He said there are two aspects of the Terrebrune terroir that help distinguish his wines from the others of the region: the soil and the cooling breeze that comes off the Mediterranean. 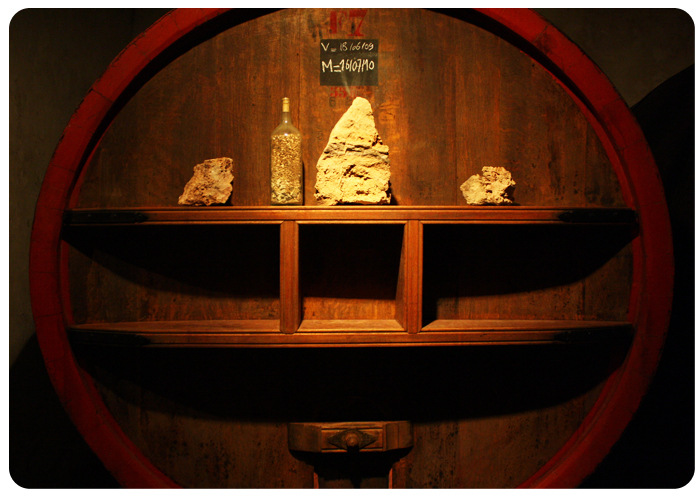 The soil is a rich, chocolate brown and the vines tap into clay, limestone, and dolomite below the surface. 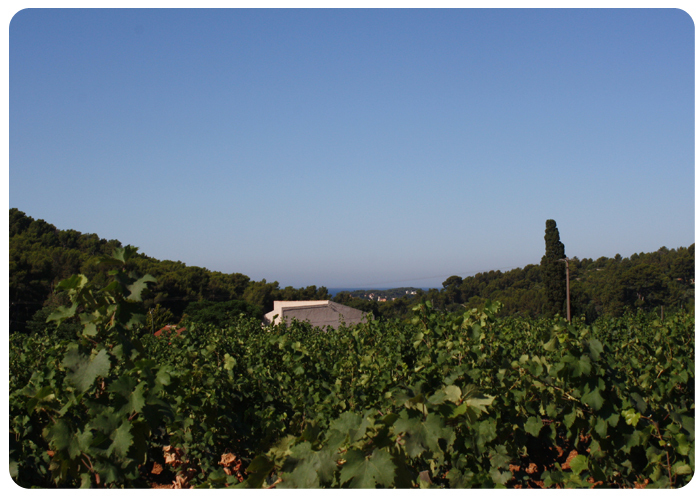 Planting vines in limestone isn’t exactly revolutionary or unique but what does set Terrebrune apart is the domaine’s proximity to the Sea. The property is situated in a valley that leads directly to the bay near Sanary-Sur-Mer. Sea breezes blow up the valley and directly into his vineyards, keeping temperatures relatively moderate, even during the hottest times of the summer. According to Reynald, these cooling winds are what set him apart, the secret of his success. Surprisingly enough, the terroir driven 2009 Rosé gracefully followed the 1989 Rouge. There was continuity between the elegance of the ’89 Rouge and the earthiness of the ’09 Rosé. The ’89 had soft tannins but lots of acidity, garrique, and light, raspberry fruit—at 21 years of age! The ’09 Rosé was loaded with rosemary, white peach, and a creamy richness. The connection? The fading fruit of old rouge and the subtle fruit of young rosé each give way to the core of Terrebrune—texture and grip imparted by the soil, and lasting, quaffable acidity provided by the wind. Is it the best rosé in the world? Is it better than Tempier? You’ll just have to grab a bottle of each to find out for yourself. Kermit says it is not like marriage—you are permitted to enjoy both. 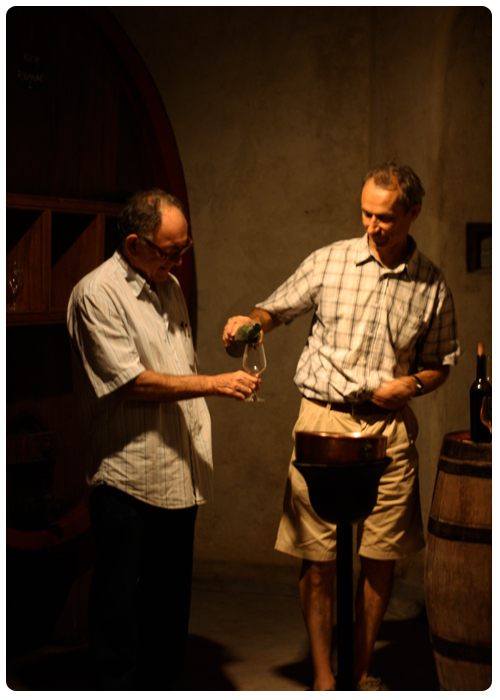 The best Rose in the world is created by Pierre-Jacques Druet: Bourgueil Rose and i would love for Kermit to import it. First, I’m with Heidi…that’s my favorite French Rosé. Been a long time since I’ve had one, though. 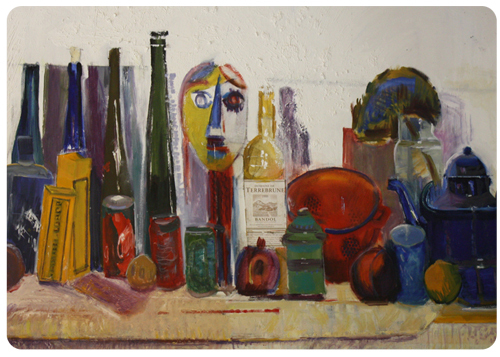 In 2010, my favorite so far is the 2008 Frank Cornelissen Susucaru. I wish I had an easier time finding and buying the Terrebrune rose. I have everything else from 2009 and I cannot find Terrebrune. Is it made in tiny quantities? Does most of it stay on the west coast? How can I get some?! ?